As I’ve mentioned here before, we’re a TV-free family. A big part of the choice has to do with time — and the hope that Ursula and Virgil will spend more of it outdoors if there’s no TV around. There’s not much that we miss watching. Except when the Olympics roll around. We were especially excited about the winter games this year: A surprising number of athletes grew up or trained here in the Upper Connecticut River Valley, including the daughter of family friends, Hannah Kearney, the mogul skier who won the United States’ first gold medal. As it happened, we were traveling during the first week of the Olympics, and eagerly watched the broadcast of a nordic combined race while waiting at a gate at Logan Airport. We cheered as American Johnny Spillane approached the finish line in the lead, then watched in disbelief as he looked over his left shoulder just as a French skier blew past him on the right to win. After that, we were hooked. 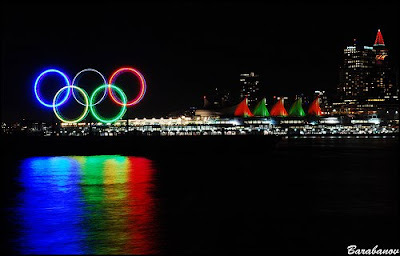 For the next two weeks, we were always on the lookout for a place to watch the Olympics. We cadged invitations to watch at friends’ houses, sought out restaurants with big-screen TVs — even the occasional bar. When we lost power at our house during a windstorm, we splurged on a hotel room, then watched the men’s figure-skating finals. We caught Lindsey Vonn’s gold-medal downhill run and saw Shaun White’s superhuman tricks in the halfpipe. Franconia, New Hampshire’s Bode Miller’s surprising victory electrified us — and we loved the new television feature of Miller’s run superimposed over that of the next-fastest racer, where Miller’s aggressive, go-for-it line inexorably put distance between them. We were thrilled and inspired. I mention all this because we went skiing in Maine this past weekend — to Sugarloaf, as it happened, where Bode Miller and Olympic snowboarder Seth Westcott both trained at Carabassett Valley Academy. Friends invited us to join them and their two daughters, ages 11 and 13, one day on the downhill slopes and the next “uphill skiing” — cross-country. I should also say that we’ve failed so far to interest Virgil in cross-country skiing. We put him on little plastic slip-on skis as a toddler, just as we’d done with Ursula (and my parents did with me, except my skis were wood). But he didn’t want to shuffle about, not then, and not when we tried in later seasons. The last time we took Virgil cross-country skiing, we were within shouting distance of the lodge when he flopped down in the ski tracks and would go no further. Virgil — who had followed the Olympic alpine events on TV — loved the idea. Thirteen-year-old Sarah, who had agreed to hang back with Virgil and Jim, immediately announced she was Lindsey Vonn. Jim chose bronze medalist Andrew Weibrecht (an Olympian with a Dartmouth connection). And suddenly Virgil couldn’t wait for the next little downhill, and the one after that, and the one after that. And, what do you know, he started getting the hang of it! By the time we had to call it quits and head back south, Virgil was complaining again — he wanted to keep skiing. I doubt that Virgil would have hung in there for nearly so long if he hadn’t seen Bode Miller and the other ski racers in the Olympics. In this case, watching television didn’t keep a kid from going outdoors — it inspired him to get out there.